Tyre review data from 16 tyre reviews averaging 96% over 189,300 miles driven. Positive - Sharp handling with precise and stable dry grip. Negative - Slight weakness under dry braking. 2016-11-20 - I have Michelin pilot Alpin PA4s on my car but I'm unsure if they are mounted correctly. The Outside is correctly on the outside with the curved part of the tread pattern always on the inside of the tyre. However because the rotation is different on one side of the car than the other because the wheels are mounted the opposite way round the curved part of the tread faces the opposite way too. Is this just how this asymmetric tread pattern works? Seems strange that the rotational direction should allow the curves splines to be facing what looks like the wrong way on one side of the car. I guess only way to solve would be if two different tread patterns were made for left and right side of the car. But mine are all the same. Would welcome any views? This is normal, and while it might seem counter productive it apparently has no notiable impact in performance. The Uniroyal Rainsport 3 and Vredestein Ultrac Sessanta are more extreme examples of this. 2017-10-23 - This is probably a lame question, but are these tyres Run Flat? Some Tyre stores list then in the Run Flat section and Michelin themselves say nothing about such feature. I would like to put a set of these on a BMW X3, where there is no spare wheel. There are both runflat and non-runflat versions of the Michelin Pilot Alpin 4. Michelin name their runflat technology ZP, for zero pressure. 2018-09-10 - I am currently looking at winter tyres for my Nissan Juke Nismo RS of which the fitment of tyre I need would be 225/45R18 Y 95. I was wondering if you have any suggestions as to what tyre I should be looking at in this fitment as I would have preferred the Michelin Pilot Alpin 4 as I love my Michelin Pilot Sport 4's which I currently have and would have thought the Pilot Alpin 4's would have been the ideal winter equivalent to my current tyre, but from the research I have done I cannot find the Alpin 4's in this size nor can I even find a Michelin winter tyre in this size (I do know about the Michelin CrossClimate+ and they do make it in my fitment but I am looking for a pure winter tyre and not an all-season tyre). To cut a long story short I am looking for a premium brand of winter tyre and although my preference would have been a tyre from Michelin I am open to other suggestions as I really do want a decent winter tyre that is the next best class leading alternative. If the Michelin isn't available in your size then there is only one answer, the Continental WinterContact TS850P, which is available in 225/45 R18. 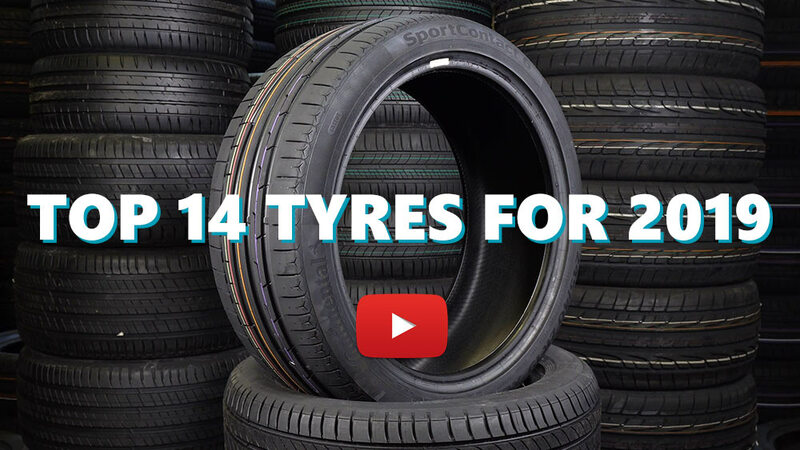 Available in 67 tyre sizes - View all. This is the third winter that I am using these tires, I have done around 12.000 km so far and the tread still looks as new. On the dry in everyday driving they feel almost as summer tire. Wet grip is amazing, snow grip also. On highway speeds they shine the most. Only objection would be increased noise in comparison to my previous Alpin 4, but still rather comfortable. Have you driven on the Michelin Pilot Alpin 4 tyre? Please help millions of other drivers make an informed tyre choice and pick the correct tyres for their car by submitting your review of the Pilot Alpin 4. I run Michelin Pilot Alpin PA4 all year round, getting a full year out of them, that’s about 30k open road miles. They give great confidence which why they have been my tyre of choice for about 4 years. I put new on in December ready for my trip to the Alps and then they stay on all year round (UK). The tyre and Bimmer electronics combo makes driving in slippery conditions a breeze (and fun), even when others are struggling. Despite being RWD (I prefer it) I’ve never got struck. I also carry chains but have never fitted them other than to prove they will fit. In the mountains on compulsory chains or winters, winters every time! Unfortunately, those with chains inevitably get in the way. I’m aware they “soft”, so I don’t abuse them apart from the necessary blast when entering a dual carriageway from a minor road. Most of my miles are morning and evening,not mid day sun. I tried Yokos, half the price, half the mileage and no confidence so the Michelin’s cost no more per mile plus they are nice to drive and grip better. This is the third winter these tyres are back on the car. Tread depth is still 6mm. Just as comfortable as the michelin ps4 taken off but when the roads get greasy and wet these will keep you safe. Last winter drove the car from leeds to Norwich and back in the worst snow and no drama or fuss, that's how good these tyres are. Superb and will buy another set when these are worn out. I got to tell you that I am amazed by this tyres performance. I bought immediately after car purchasing equipped with all season Dunlop Grandtrek ST30 which by the way, do not use it even somebody give its for free, but this will be another topic. PA4 is quite expensive,as it should be a high performence tyre but overall worth the money. I drove 4000km on icey roads, wet and what I've liked the most on -10 degree dry surface and I had no wear what so ever, no significal noise and great grip in 10cm of snow. Brake on wet and dry is also great . I will say this tyres are great for FWD and AWD and higly recommend for Central East European weather.